Sports junkies putting themselves through brutal territory to feed the beast within is an all too familiar tale. The growth of sports has seen an increase in professional and an emergence of amateur extreme sports enthusiasts. Terrifyingly, you find people who have been fit and have participated in endurance sports suffer conditions generally of inactive people. There is no significant evidence linking endurance sports with longevity. That is because there have been no long-term, broad-based studies have been satisfactorily undertaken. The phenomenon is relatively new. According to the Heart and Stroke Foundation of South Africa says 10 people will suffer a stroke and five people will have a heart attack every hour in South Africa. The uptake of extreme sports is growing. And more and more people are getting into the craze but that grit may be fatal. Many people find fulfillment in participating in these high endurance activities. It is our differences that make a society interesting. So while it may not be for everyone, high-risk activities contribute to the diversity of our culture. Although it is good for you, some extreme athletes turn to push exercising beyond healthy limits. Extreme sports requires rigorous training and excessive exercising which places the body under tremendous pressure and may lead to or cause heart problems. The past few years have seen a significant increase in heart attacks and strokes among those who take part in increasingly popular extreme sports. Those include sporting activities like ultra-marathons and ultra-triathlons. 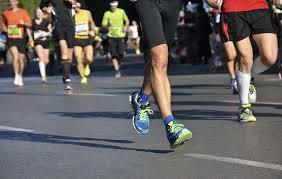 The Comrades Marathon, the 91st edition of the world’s biggest and oldest ultra-marathon, will take place again soon. Many athletes and enthusiasts would’ve been training and preparing for this event months in advance. This highlights the importance of proper exercising and dietary recommendations to be adapted for such events. This includes rest time as it is a vital part of training. It also includes education around the differences between heart attacks and strokes in emergencies. Recent studies show that people with existing heart diseases are more likely to have a fatal stroke or a heart attack during high intensity exercise. Also, young men who undertake endurance exercise increase their risk of developing an irregular heart rhythm later in life. Anderson says that knowing the signs and symptoms of both a heart attack and a stroke can assist in preventative health measures. A heart attack occurs when blood flow to the heart muscle is blocked, usually by a blood clot. Without oxygenated blood, the heart muscle begins to die. A stroke is a brain attack, cutting off vital blood flow and oxygen to the brain. A stroke occurs when a blood vessel feeding the brain gets clogged or ruptures. Symptoms include chest pain, numbness of limbs, dizziness and severe pain in the head. Also the patient may have difficulty with vision, balance and speech. Anderson notes that as soon as an individual feels any of these symptoms they should slow down and seek medical attention as soon as possible. Anderson concludes, “When people decide to take part in various extreme or strenuous sporting activities so they should have trained adequately for the event. It’s also advisable to consult their doctor to ensure that their vital signs are at stable/normal levels and able to take the strain of the necessary training.